In 1888 the streets around here were the stomping ground of the notorious Jack the Ripper. Hundreds of theories as to his identity still perplex people. 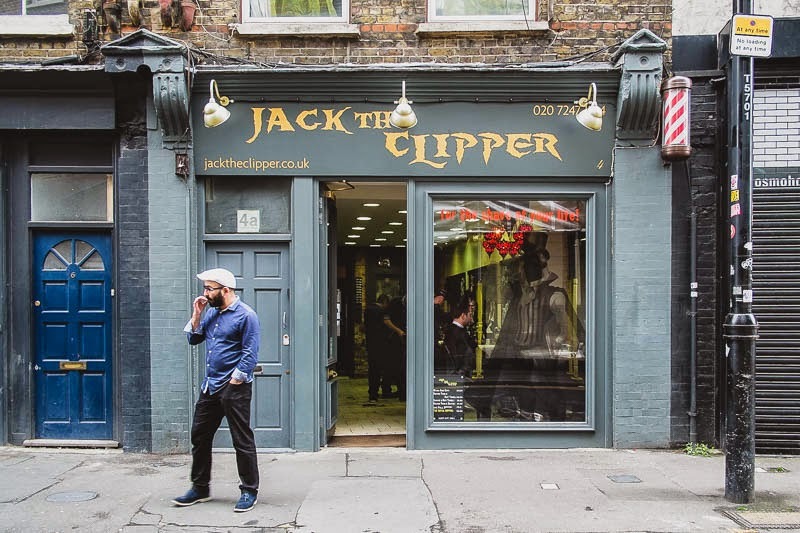 If you enjoy being scared you can take tours that will give you a sense of being unsafe on a dark foggy London street and even get your hair cut! A very clever name for this shop. Quite a name, given the area. A good name. I read a weird book last year that involved time traveling, Jack the Ripper and more. I giggled. When I walk around my neighborhood in West Hartford in the night time, I often carry pruners with me. When I encounter tree limbs hanging too low over the sidewalk, I quickly snip the offending limb off. My kids call me "Jack the Clipper."